Laser Level Guided Leveler with Built-in Level Bubbles Just $7.59 Ships FREE! You are here: Home / Great Deals / Laser Level Guided Leveler with Built-in Level Bubbles Just $7.59 Ships FREE! Order the Laser Level Guided Leveler with Built-in Level Bubbles for Just $7.59! Plus it Ships FREE! 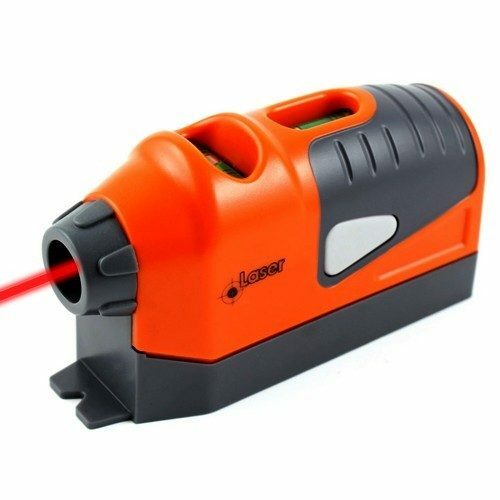 This laser guide leveler will allow you to perfectly level and straighten everything with pin point laser accuracy. It can project up to a 50 ft line, and adheres to any surface. It does not leave any marks behind, so it’s clean and maintenance-free. Perfect for any household job! On sale for $7.99 use promo code VIP-5 to get an extra 5% off your whole purchase!